Welcome to participation opportunities at Jacksons Lane. Here you can find out about all the outreach and learning work we do with people of all ages across North London. We focus on using the arts and creativity to increase confidence, reduce isolation and improve well-being. Over the past 5 years we have developed a comprehensive programme offering exciting opportunities to those who would not normally get a chance to take part. 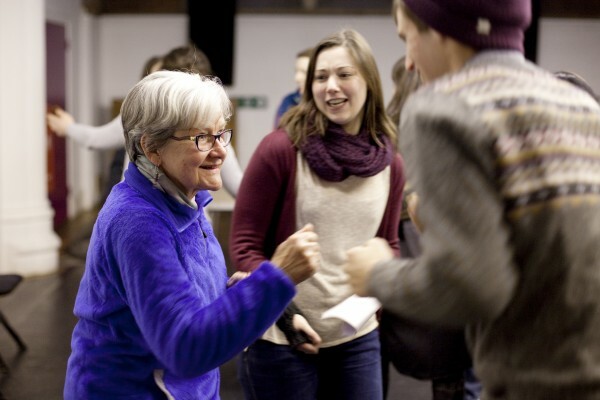 These include fun, weekly circus workshops in community spaces across Tottenham and Wood Green, social activities with music and dance for older people in supported housing schemes and forum theatre projects that look at women’s safety. We work with thousands of people a year and work with many community partners and funders. We have a Youth Board as well as a Steering Group made up of local community members who are involved in the development of our work. Have a look through our website to find out more. Thanks to Jacksons Lane I have learned to be confident – and to never give up!